Finding safety in the thorns! 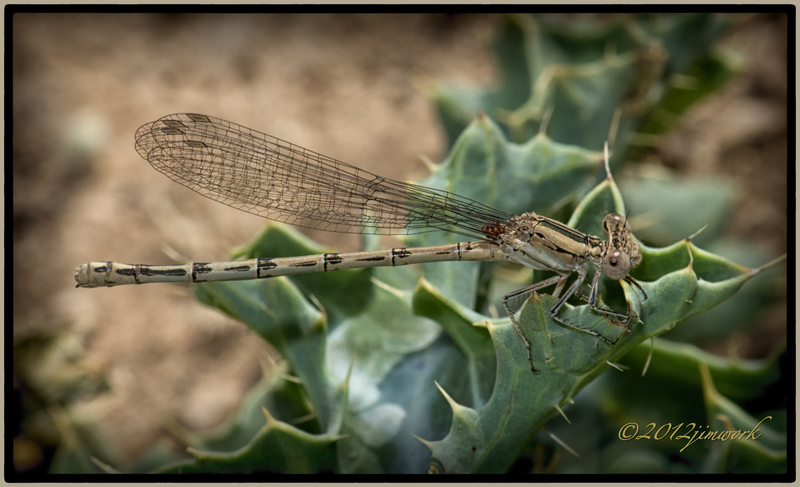 I found this khaki colored damselfly seeking shelter from the wind in the protection of a rolled leaf of the New Mexico thistle. Trick is to avoid the thorns.